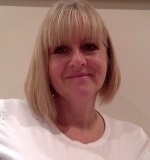 I am a qualified integrative counsellor with 22 years of experience as a health care professional in the NHS and I work in a client led way to meet your needs on a range of emotional issues, using a therapeutic relationship. I like to work with the issues you choose to bring and I also find it helpful to look back at your past to see if there are any unhelpful thought or behavioural patterns that are impacting on the present. I work with individuals on an open-ended basis or for an agreed time period, I understand that the exploration of your experiences,thoughts and feelings can be a difficult process but I believe that counselling can enable you to enhance your life and to live it more freely. AbuseI work with adults 18 and over. My practice is easily accessible to Wokingham, Crowthorne, Sandhurst, Finchampstead and Berkshire. Please contact me for availability as I am a counsellor in Wokingham but also offer counselling in Crowthorne and see that I am the right counsellor for you.